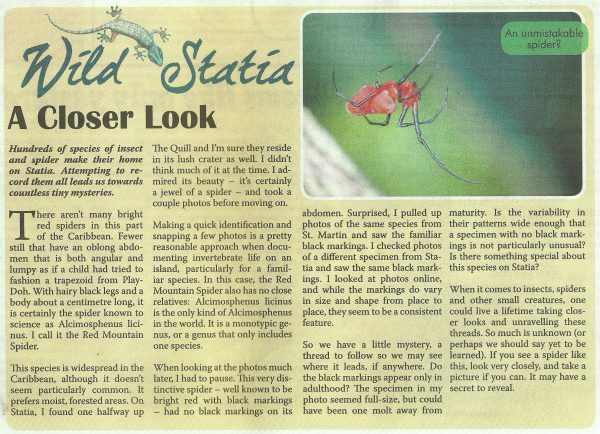 A closer look at a photo of a Statian spider raises some questions. Then again, a closer look at any insect or spider in the Caribbean has the potential to do that. Read it in this weekend’s Wild Statia column in The Daily Herald. Do You Know About the Bird Thing?